Donald Trump, Jr. makes curious campaign detour Rachel Maddow describes the tragic racial history of Philadelphia, Mississippi, the creepily calculated Ronald Reagan campaign stop there in 1980, and the curious visit by Donald Trump, Jr. even though Mississippi is not a risk for Republicans this year. 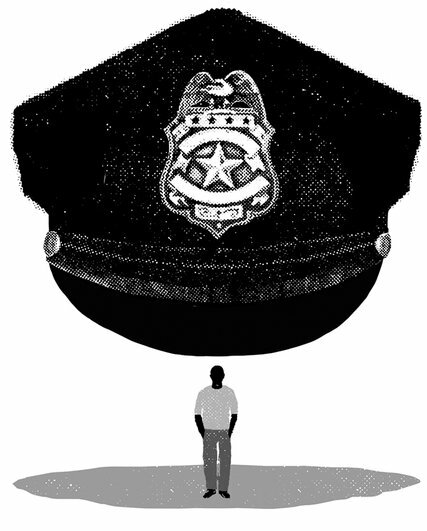 Something is missing from the debate over police reform. Though police killings of black men have sparked a nationwide movement to stop police violence, the police can fairly ask whether they deserve all of the blame. That’s not because current levels of police violence are warranted (they aren’t), or because policing is race neutral (it isn’t). It’s because the chief architects of American policing are not police departments; they’re courts. The movement for police reform should be joined by an equally ambitious movement for court reform. Beyond #BlackLivesMatter: police reform must be bolstered by legal action | "
"Anyone who has ever ridden the subway before, especially in Manhattan, knows that during peak hours it’s not exactly unusual to end up having to stand. The subway is incredibly popular and used by most residents in the city. What kind of a person would go on a rant all over something that happens commonly, to everybody? Someone who probably thinks they’re a little bit better than everyone else. Someone who thinks that perhaps the color of their skin makes them better than people who, say, have a different shade of skin. A racist. And yes, not shockingly, also a Trump supporter." Wednesday's ruling by a federal appeals court against Texas's voter ID law looks likely to lower a massive barrier to voting that had threatened to disenfranchise large numbers of the state's minority voters. The ruling also offers a stinging rebuke to state lawmakers and officials who enacted and defended the law. And its cogent dismantling of many of the key claims advanced by backers of strict ID laws — all the more remarkable coming from a conservative-leaning court — could have implications beyond the Lone Star State. ﻿ Some time ago I wrote a book about one of the great crimes of the last 150 years: the conquest and exploitation of the Congo by King Leopold II of Belgium. When King Leopold’s Ghost: A Story of Greed, Terror and Heroism in Colonial Africa was published, I thought I had found all the major characters in that brutal patch of history. But a few weeks ago I realized that I had left one out: Tarzan. It is time for American police to clean their own house, get rid of both institutional racism and the many racist cops. People are tired of these police killings. This is just like the late sixties. If they don't wake up they will be facing a "Spook Who Sat By The Door Situation". "The twin attacks — three officers dead Sunday in Baton Rouge, five killed on July 7 in Dallas, along with at least 12 injured over all — have set off a period of fear, anguish and confusion among the nation’s 900,000 state and local law enforcement officers. Even the most hardened veterans call this one of the most charged moments of policing they have experienced." This is the unjust America most White folks refuse to see. "An Atlanta man who was arrested after being the first to widely share a viral video of a man being killed by the police in Baton Rouge, Louisiana, claims he was detained in retaliation for distributing the recording. Chris LeDay, a 34-year-old Air Force veteran, did not film the video of Alton Sterling, a husband and father of five who was shot by police outside a Louisiana convenience store last Tuesday. But LeDay used to live in Baton Rouge, and he posted the video—which he says he got from a friend of the videographer—on July 5 after Sterling's death. "I wanted to share it a zillion times and make sure everyone saw it," LeDay told Mother Jones via phone. "The police were already saying their body cameras had fallen off." "The next day, LeDay was detained by military security while going through a routine checkpoint for his job at Dobbins Air Reserve Base, a security procedure he told Mother Jones he had been through "at least 15 times" without issue. Military officers handcuffed LeDay, a black man, and told him that he met the description of someone wanted for assault and battery. Shortly afterward, officers from the nearby Dunwoody Police Department took LeDay in handcuffs and leg shackles to Dekalb County Jail." "The chant erupts in a college auditorium in Washington, as admirers of a conservative internet personality shout down a black protester. It echoes around the gym of a central Iowa high school, as white students taunt the Hispanic fans and players of a rival team. It is hollered by a lone motorcyclist, as he tears out of a Kansas gas station after an argument with a Hispanic man and his Muslim friend. In countless collisions of color and creed, Donald J. Trump’s name evokes an easily understood message of racial hostility. Defying modern conventions of political civility and language, Mr. Trump has breached the boundaries that have long constrained Americans’ public discussion of race. His rallies vibrate with grievances that might otherwise be expressed in private: about “political correctness,” about the ranch house down the street overcrowded with day laborers, and about who is really to blame for the death of a black teenager in Ferguson, Mo. In a country where the wealthiest and most influential citizens are still mostly white, Mr. Trump is voicing the bewilderment and anger of whites who do not feel at all powerful or privileged. But in doing so, Mr. Trump has also opened the door to assertions of white identity and resentment in a way not seen so broadly in American culture in over half a century, according to those who track patterns of racial tension and antagonism in American life. "DALLAS — When Andre Stubblefield leaves his dilapidated apartment complex in southern Dallas, he always carries his work gloves, vest and hard hat, even when he is not going to work. The police have stopped him regularly over the years, asking for identification — about four times in the last four months alone. So he carries his work attire to show that he is a working man, not a criminal. “I got to fake like I’m wearing my work stuff, so they won’t mess with me,” said Mr. Stubblefield, 30, who works in demolition. In the wake of last week’s sniper shooting that left five Dallas police officers dead, many people have lamented that it happened in this city, with a black police chief who even critics say has made inroads with the community and worked to steer his force away from its history of racism and abuse. Since Chief David O. Brown took over the department in 2010, excessive-force complaints have dropped 64 percent, and he has started de-escalation training and a successful community policing program. But for all the progress that the Dallas police have made, this remains one of the most segregated big cities in the country, with yawning racial gaps in housing, schools and employment. Decades of discriminatory federal, state and local policies have concentrated the city’s black population in deeply poor and underdeveloped neighborhoods south of Interstate 30, which serves as a line of demarcation between opportunity and neglect. While downtown Dallas is flush with glassy skyscrapers and high-priced restaurants, large tracts of the city’s southern sector are empty and ragged. Mr. Giuliani’s garbled, fictional statistic echoes a common right-wing talking point about the prevalence of “black on black” violence in America. Homicide data do show that black victims are most often killed by black assailants. (They also reveal that whites tend to be killed by whites.) 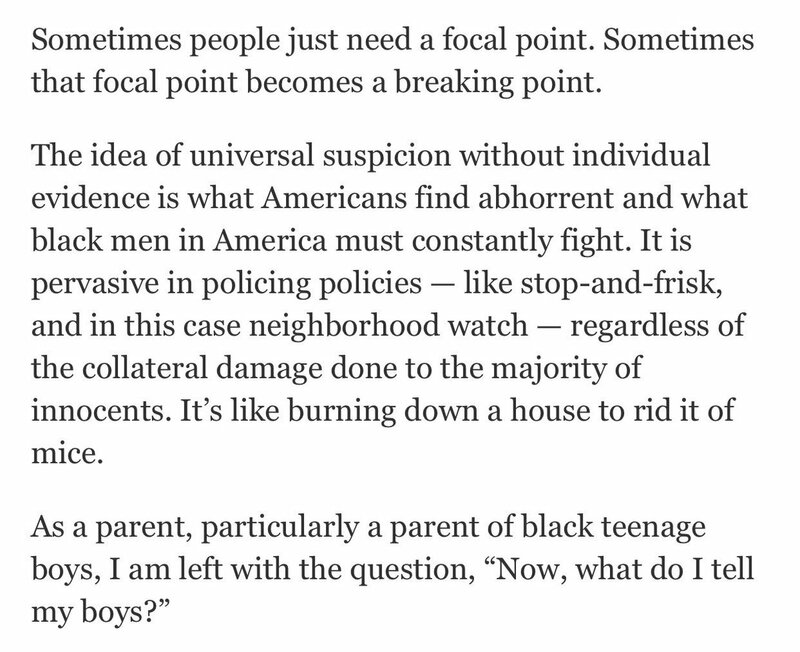 This observation does not speak to the matter of racist policing and police brutality. Killings of the police have, mercifully, been on the decline during the Obama presidency. But unwarranted shootings by police officers remain a persistent problem, ignored for generations, exploding only now into the wider public consciousness because of bystander videos that reveal the blood-red truth. The debate is full of such untruths and misdirections. There is the colossal Texas lie, the one that says a “good guy with a gun” can always stop a bad guy with a gun (in Dallas, where some marchers and bystanders were armed, it took a bomb). There is Mr. Giuliani’s ludicrous suggestion that black people don’t know they need to be careful around cops, or somehow are complicit in their brutalizing. Alton Sterling, in Baton Rouge, and Philando Castile, in a St. Paul suburb, were posing no threat when they were shot. (Far from being ignorant of the ways of the police, fearful black parents long ago learned to impart the advice that Mr. Castile’s mother, Valerie Castile, said she gave her son: “If you get stopped by the police, comply. Comply, comply, comply.”) Eric Garner, on Staten Island, was unarmed and outnumbered by the officers who swarmed and smothered him." The convenience store owner who captured Alton Sterling’s death on video said police stole the surveillance video from his store, took his cellphone and locked him in a car for four hours. Abdullah Muflahi, who owns the Baton Rouge Triple S Food Mart where Sterling was killed on July 5, claims that police confiscated his phone and locked him in the car, in a lawsuit filed with the Baton Rouge district court. Sterling, a 37-year-old black father of five, was tackled and wrestled onto the hood of a car, then the pavement, by two police officers around 12:35 a.m. The officers fired five shots at Sterling, who was hit once in the chest and once in the back. In a 42-second cellphone video taken by Muflahi, one of the two officers takes a gun from Sterling’s right pocket, despite earlier reports that the man had pulled the gun on the officers. Supreme Court Justice Ruth Bader Ginsburg rarely pulls punches, but even by her own standards of fierceness, she recently took things to a new level of frankness. 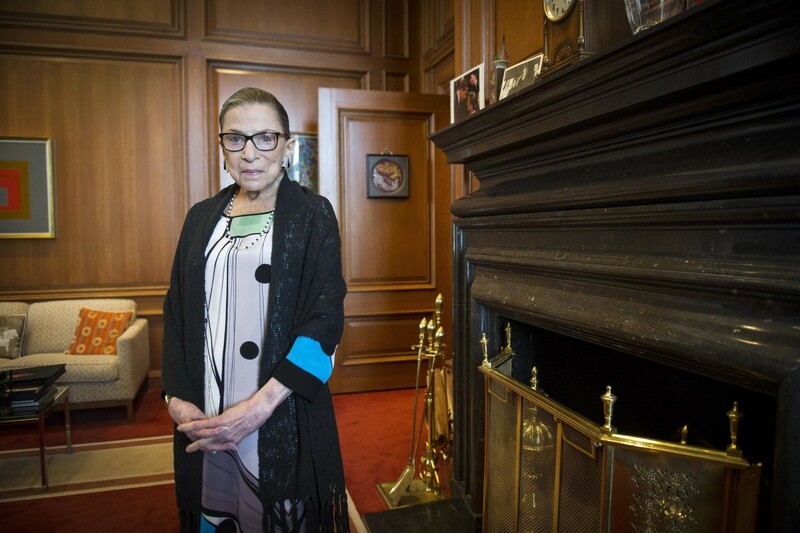 In separate interviews with the Associated Press andThe New York Times, Ginsburg took the unusual step, for a justice, of weighing in on the current presidential election. "I can't imagine what this place would be — I can't imagine what the country would be — with Donald Trump as our president," Ginsburg told the Times in an interview posted online on Sunday. "For the country, it could be four years. For the court, it could be — I don't even want to contemplate that," she said, joking that her husband, who died in 2010, would have said, "'Now it's time for us to move to New Zealand.'" "Police violence in the United States is endemic. An investigation by the Salt Lake Tribune in Utah finds that more residents in the state were killed by police than gang members or drug dealers. Between Jan. 1 and May 3 of 2015, 1 in 13 of the gun killings in the U.S. were committed by police. However, it does not fall equally across racial groups. According to the Guardian, people of color make up 38 percent of the population, but 47 percent of those killed by police. People of color make up 63 percent of those who are unarmed when killed by police. Using a model created in collaboration with San Francisco State political scientist Jason McDaniel, I explore the effects of racial resentment on attitudes towards police behavior (see here for a discussion of racial resentment). In a model that controls for party identification, ideology, family income, education, age and gender, racial resentment strongly predicts white attitudes towards police violence. The charts below show that as resentment increases, respondents are less likely to say that whites are treated better by the police, more likely to say that police treat both white and black people the same." Capping off his weekend of inflammatory comments after the Dallas police shooting, former New York City Mayor Rudy Giuliani said Sunday that black children have “a 99% chance” of killing each other — so they shouldn’t worry so much about police brutality. He also dismissed Black Lives Matter — the group and the phrase itself — as “inherently racist” and “anti-American,” and accused the movement of calling for the murder of police officers. Appearing on CBS’ “Face The Nation,” Giuliani had little to say about the deadly police shootings that sparked the Black Lives Matter movement and nationwide protests — including the one in Dallas that was ambushed by a cop killer. Instead, he said it is up to the “blacks” to show respect to police. "Preston Gilstrap, 64, was a Dallas police officer for over 41 years before he retired in 2013. Earlier this week, he saw the two brutal videos of police officers killing black men ― Philando Castile in St. Paul, Minnesota, and Alton Sterling in Baton Rouge, Louisiana ― that shook the nation. And Friday morning, Gilstrap, who is black, woke up to news of the horror that had visited his hometown: at a peaceful Black Lives Matter protest Thursday night over the killing of Castile and Sterling, a lone gunman opened fire, killing five Dallas police officers and wounding nine other people. “My heart has been totally torn out of my chest by both violence perpetrated on officers and violence perpetrated by officers,” Gilstrap told The Huffington Post Friday. Articles 385, 386, 388, 389 and 390 of China's Criminal Law prohibit payments of "money or property" to public officials for the purpose of obtaining improper benefits, or public officials from accepting such payments. The Interpretation provides examples of types of "money or property" whose provision to public officials may violate these articles, including currency, property, and "proprietary interests." The proprietary interests category is intentionally broad and includes any kind of material interests that could be converted into currency. Examples of proprietary interests include house decorations, discharges of debts, provision of travel, or memberships. The Interpretation provides that the value of such proprietary interests will be calculated based on how much has actually been paid or how much the recipient would otherwise have paid for the underlying interests. Charles M. Blow (@CharlesMBlow) | Twitter I wrote this YEARS ago, and it still reads as urgent. It shouldn't. It SHOULDN'T!!! What Will It Take to Actually Convict a Cop? "The numbers are simply staggering. While there is no federal database that records police-related shootings or deaths (problem No. 1), some sources have determined that despite annual police-related killings averaging well into the hundreds—we already have 600 peoplekilled by police just halfway into 2016 alone—since 2005, we have seen just 13 police convictions. Thirteen convictions. In over 10 years, spanning the deaths of several thousand people killed through encounters with those sworn to protect and serve. Certainly, not every death that occurs at the hands of police warrants a criminal prosecution or conviction. It goes without saying that law enforcement has an incredibly difficult job that requires a unique combination of instincts, discretion and sound judgment. But while not every case warrants an officer being indicted and tried, let alone convicted, it’s unimaginable that more aren’t. In 2015, police killed at least 102 unarmed black people. That is a rate of nearly twice a week.Unarmed. Nearly 30 percent of black people killed by police had no weapon, and that’s just in instances where the ultimate result was death of a suspect. So police are using deadly force nearly 30 percent of the time when dealing with people who aren’t even in possession of anything that would have posed a threat to those officers’ lives." Baton Rouge store owner on Sterling killing NBC News' Tammy Leitner speaks with Abdullah Muslahi, the owner of the store outside of which Alton Sterling was killed by police on Tuesday. The eyewitness owner of the saw the murder. Alton did not pull a gun. The police took the gun out of his pocket after he was dead. The police took the storeowners video without presenting a search warrant. Store owner said Alton Sterling was a good guy and did not cause problem. Mysteriously the police claim the two officers body cams did not work. American justice at work. 6 Eye-Opening Facts About How Differently Black And White People View Race Or Why Are Most White People Dumb and I mean Dumb When It Comes To Race? "Black people believe institutional racism is a critical problem while more white people say individual instances of discrimination are a bigger concern. An overwhelming number of white people, 66 percent, say that individual instances of discrimination in America are a bigger problem than institutional racism while only 19 percent of white people feel the latter is a larger concern. However, the black opinion is more evenly distributed (48 percent and 40 percent, respectively). Despite the large number of white people who don’t see institutional racism as a problem, it has a real effect on black men and women who believe they are treated less fairly than whites in dealing with the police (84 percent), when applying for a loan mortgage (66 percent), in the workplace (64 percent), in stores and restaurants (49 percent) and when voting (43 percent). “Across all of these realms, whites are much less likely than blacks to perceive unequal treatment,” the study says." "PARIS — In recent days, jihadists killed 41 people at Istanbul’s bustling, shiny airport; 22 at a cafe in Bangladesh; and at least 250 celebrating the final days of Ramadan in Baghdad. Then the Islamic State attacked, again, with bombings in three cities in Saudi Arabia. By Tuesday, Michel Kilo, a Syrian dissident, was leaning wearily over his coffee at a Left Bank cafe, wondering: Where was the global outrage? Where was the outpouring that came after the same terrorist groups unleashed horror in Brussels and here in Paris? In a supposedly globalized world, do nonwhites, non-Christians and non-Westerners count as fully human?" Why doesn't America do a better job in sorting out the brutal sadist from law enforcement candidates. "The body of William Weintraub, 47, where he died in 2014: in the back of a Prisoner Transportation Services of America van. A former physics professor, he died from a perforated ulcer after complaining of stomach pain. Credit Georgia Bureau of Investigation. In July 2012, Steven Galack, the former owner of a home remodeling business, was living in Florida when he was arrested on an out-of-state warrant for failing to pay child support. Mr. Galack, 46, had come to the end of a long downward spiral, overcoming a painkiller addiction only to struggle with crippling anxiety. Now, he was to be driven more than a thousand miles to Butler County, Ohio, where his ex-wife and three children lived, to face a judge." "The list of American constituencies that Donald Trump has alienated during his presidential candidate isn’t short. At various points over the last year or so, the Republican candidate and his operation have alienated women, Latinos, African Americans, Muslims, veterans, people with disabilities, and Native Americans, among others. But let’s not leave out Jewish voters. Over the holiday weekend, however, Trump made matters vastly worse. An image of Hillary Clinton that was widely criticized as anti-Semitic after it was tweeted by Donald Trump, the Republican Party’s presumptive nominee for president, appears to have originated two weeks ago on a Twitter account devoted to bigoted memes. Trump tweeted the graphic on Saturday attacking Clinton in an image that included what appears to be a Jewish Star of David layered over $100 bills. The tweet calls Clinton “the most corrupt candidate ever.” Painting Jews as corrupt money-grubbers out to secretly control the government has been a well-worn anti-Semitic trope since long before World War II. It’s difficult to take such a response seriously. We know, for example, that the star of a sheriff’s badge has globes on the points, and the image Trump tweeted did not. We also know if Trump’s tweet was a harmless symbol connected to law enforcement, he wouldn’t have been so quick to delete it on Saturday morning. And that broader takeaway is arguably the most important point. Trump and “this crowd” have been ringing alarms for quite a while now, with white supremacists attending Trump rallies, registering as Trump delegates, offering to provide Trump security, and creating content that Trump has, on multiple occasions, been only too pleased to promote through his social-media accounts. And earlier this year, Trump hedged when asked to denounce support from David Duke and other white supremacists. The most charitable interpretation is that Trump is blisteringly incompetent. Pro-Trump voters might choose to believe that the presumptive Republican presidential nominee and his aides saw an anti-Clinton image with an anti-Semitic subtext, they weren’t observant enough to recognize why it’s offensive, and so they shared it with the world without thinking. Maybe, the argument goes, the GOP candidate has no idea why all of these white supremacists are gravitating towards his candidacy, and isn’t deliberately encouraging them. The uncharitable interpretation is that the Trump campaign is peddling racist and bigoted propaganda on purpose. Neither of these explanations is reassuring. Reader M.W. emailed me over the weekend to remind me of something Politico noted a month ago: “To minority voters, Trump’s candidacy feels like an existential threat.” Every time the Republican candidate promotes a message with white supremacist ties, the severity of that threat intensifies." "The image using an anti-Semitic trope to attack Clinton appeared on 8chan after a vile Twitter user created it two weeks ago. The earliest iteration of the questionable picture seems to have come from the Twitter account @FishBoneHead1, which tweeted the image on June 15. " MSNBC host Joy Reid and Mother Jones‘ David Corn battled Donald Trump supporter Amy Kremer this morning over Trump posting an image of Hillary Clinton and the Star of David that was shared on a Neo-Nazi white supremacist message board. During the segment this morning, Reid said sharing or RT’ing material from white supremacists and Neo-Nazis has been kind of a pattern with Trump this election cycle. Kremer rolled her eyes, blamed a staffer, and said Trump just gets blamed for anything these days. She called it a “slight error” and said we should all “move on,” because in the grand scheme of things this isn’t that important. Corn jumped in to point out the disturbing origins of the image Trump tweeted. He wondered why Trump never bothers to make sure he’s not sharing messages from anti-Semites on Twitter before doing so. Kremer defended Trump by saying no one has time to check the entire history of everyone they want to RT. James Earl Jones Reads Frederick Douglass - The 4th of July "What, to the American slave, is your Fourth of July? I answer: a day that reveals to him, more than all other days in the year, the gross injustice and cruelty to which he is the constant victim. To him, your celebration is a sham; your boasted liberty, an unholy license; your national greatness, swelling vanity; your sounds of rejoicing are empty and heartless; your denunciation of tyrants, brass-fronted impudence; your shouts of liberty and equality, hollow mockery; your prayers and hymns, your sermons and thanksgivings, with all your religious parade and solemnity, are, to Him, mere bombast, fraud, deception, impiety, and hypocrisy-a thin veil to cover up crimes which would disgrace a nation of savages. Own a full-size, 3D Rosetta Stone replica There is not a nation of savages. There is not a nation on the earth guilty of practices more shocking and bloody than are the people of the United States at this very hour. Go where you may, search where you will, roam through all the monarchies and despotisms- of the Old World, travel through South America, search out every abuse, and when you have found the last, lay your facts by the side of the everyday practices of this nation, and you will say with me that, for revolting barbarity and shameless hypocrisy, America reigns without a rival. Donald Trump deleted an image of Hillary Clinton and a six-pointed star from social media, following accusations of antisemitism on Saturday given the star’s placement over an image of money and his repetition of the controversial phrase “America first”. Almost four hours later, Trump tweeted out a second image, with the text inside a circle instead of a star, though the star’s points were still visible on the edge of the circle. The Trump campaign did not immediately respond to a request for comment." We have lost a truly great humanitarian. "Elie Wiesel, the Auschwitz survivor who became an eloquent witness for the six million Jews slaughtered in World War II and who, more than anyone, seared the memory of the Holocaust on the world’s conscience, died on Saturday at his home in Manhattan. He was 87. Menachem Rosensaft, a longtime friend and the founding chairman of the International Network of Children of Jewish Survivors, confirmed the death in a phone call. 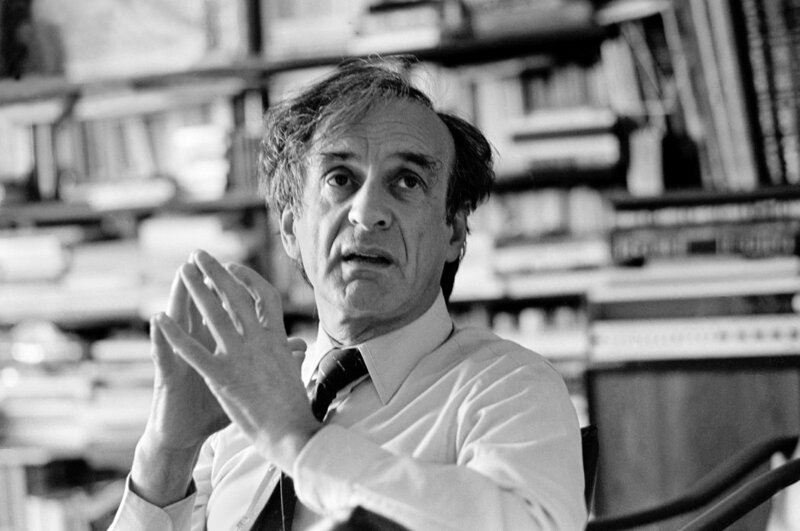 Mr. Wiesel was the author of several dozen books and was a charismatic lecturer and humanities professor. In 1986, he was awarded the Nobel Peace Prize. But he was defined not so much by the work he did as by the gaping void he filled. In the aftermath of the Germans’ systematic massacre of Jews, no voice had emerged to drive home the enormity of what had happened and how it had changed mankind’s conception of itself and of God. For almost two decades, both the traumatized survivors and American Jews, guilt-ridden that they had not done more to rescue their brethren, seemed frozen in silence." "According to the Obama administration, just 64 to 116 civilians have been killed in its secretive drone program. The U.S. government published a report on Friday, July 1 that claims that the counter-terrorism airstrikes it conducted outside of conventional war zones between January 2009 and the end of 2015 only killed scores of so-called non-combatants. Experts say the number is likely much higher. The report, issued by the Office of the Director of National Intelligence, analyzes 473 U.S. strikes in Pakistan, Yemen, Somalia and Libya, the vast majority of which were carried out by drones. It says 2,372 to 2,581 combatants were killed in these attacks. The U.S. government is not clear about how it defines combatant. The New York Times reported in 2012 that President "Obama embraced a disputed method for counting civilian casualties" that "in effect counts all military-age males in a strike zone as combatants, according to several administration officials, unless there is explicit intelligence posthumously proving them innocent." For years, the U.N., Amnesty International and Human Rights Watch have criticized the U.S. government's secrecy in its drone assassination program, and have even implied that the Obama administration may be guilty of war crimes."